Here is your guide to Whale watching California... Since we normally see only the surface of the world's oceans, it is always fascinating to us when some of its many creatures rise up out of the depths and make themselves seen. Whale watching in Central California, from the deck of a ship or from the land, is available most of the year. This photo shows a gray whale "spyhopping" where they hold their head above the water. Many species of whale perform this interesting maneuver when they want to see what is going on at the surface. Whale watching California - There are plenty of opportunities for whale watching in Central California and for seeing several different types of whales and dolphins nearly year-round. There are three main species of whales that frequent the California Central Coast: Gray whales; Blue whales and Humpback whales. Additionally, Killer whales (orcas) are often seen in Monterey Bay as the gray whales pass through in the spring. If you would like to read a bit more in depth about whales off the coast of Central California, and about marine life in general, I highly recommend this new website - "Seasons in the Sea". It is a work in progress, but enables you to explore by month, by habitat or by species. Check it out, you'll enjoy it! 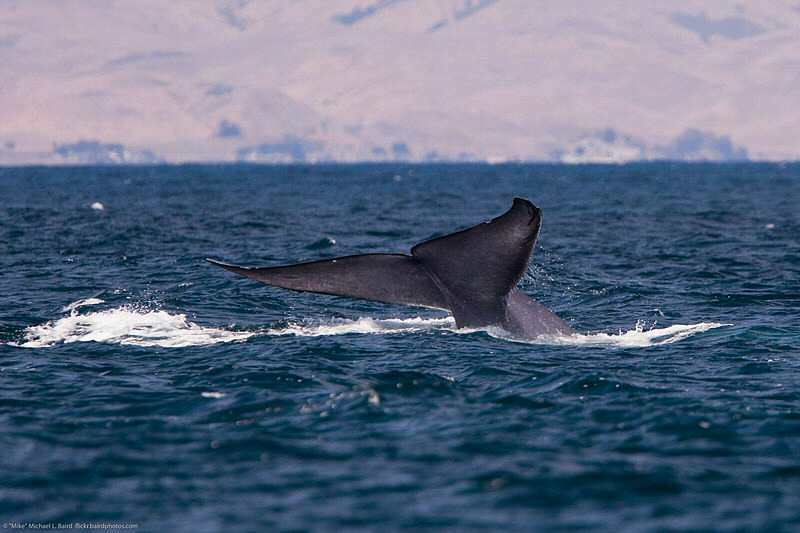 All whale-watching cruises along the California central coast reported large numbers of both blue whales and humpback whales during the summer of 2012. This was a rare opportunity to see these magnificent creatures. The winds and currents brought in large amounts of krill, the small shrimp-like favorite food of these whales, close to shore. 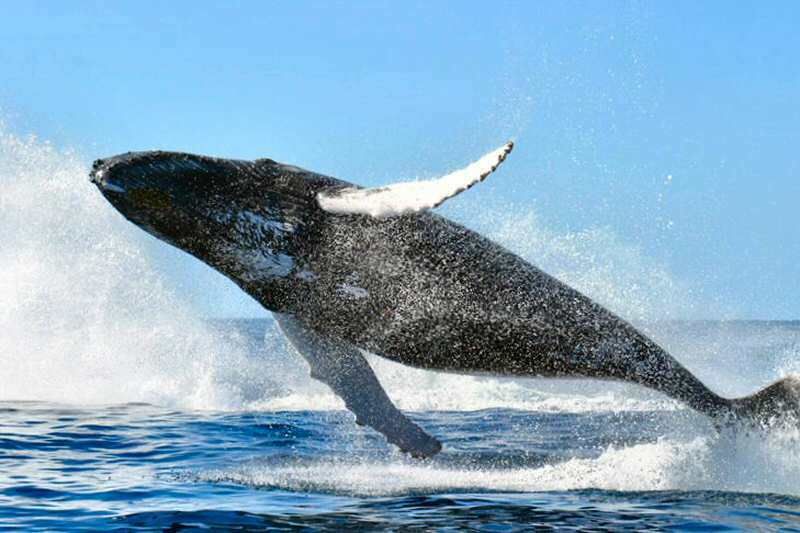 Conditions were excellent during 2013 as well and 2014 is shaping into a great year for whale watching as well. When you're done checking out Central California whale watching, do come by our Facebook page and give us a "Like". I share new photos I've taken and timely posts about interesting events and happenings that generally don't show up on this site, especially whale reports from Monterey Bay south. Thanks! The NOAA (National Oceanic and Atmospheric Administration) which is responsible for the laws and regulations pertaining to marine mammals has reminded all who might like to view a whale up this close that doing so is not really safe and may constitute harassment. It may be "cool" to be able to claim you touched one in the wild, but the fines may not be so memorable. The NOAA says to stay at least 100 yards away and not cross its path ahead. It's one thing to see videos or documentaries of great animals such as whale and quite another to be able to view them and actually interact with them in person in the wild. That's an amazing experience and one that is readily available in Central California. The most numerous and most commonly seen whale along the central coast are the gray whales. They stay fairly close to the coastline and often can be seen from shore. The gray whales pass by here twice each year on their annual migration from their breeding and calving grounds in Mexico to their feeding grounds in the Bering Sea off Alaska. Their migration is perhaps the longest of any mammalian species with a round trip of 10,000 to 14,000 miles! Gray whales reach lengths of 45-50 feet and weigh 30-40 tons. Populations have recently been estimated at 20,000 individuals and early reports for 2012 by watchers here along the coast show a good calving season. Gray whales eat small crustaceans and tube worms found in bottom sediment. When are the whales in California? 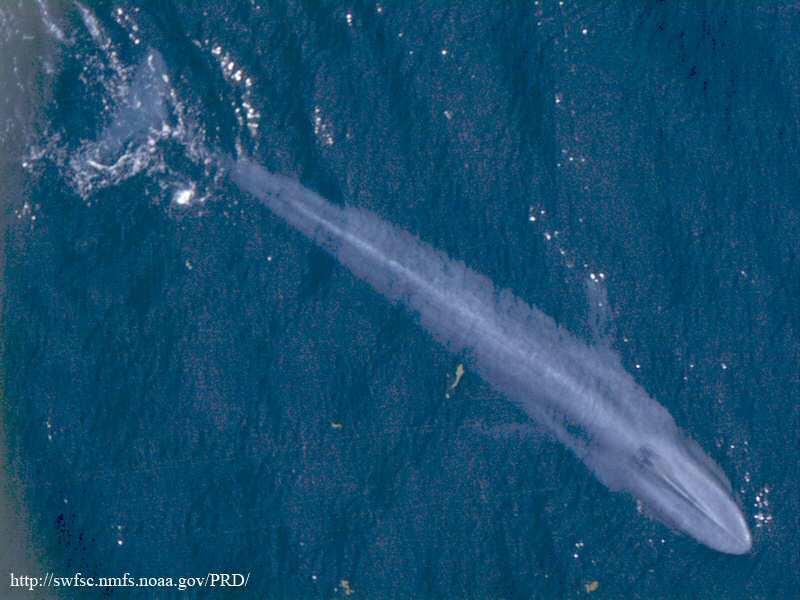 Blue whale are less common along the California coast than grays, but are regularly seen. They are from 75-100 feet long and weigh 100 to 150 tons. Humpback whales are famous for their "singing" and amazingly complex songs. 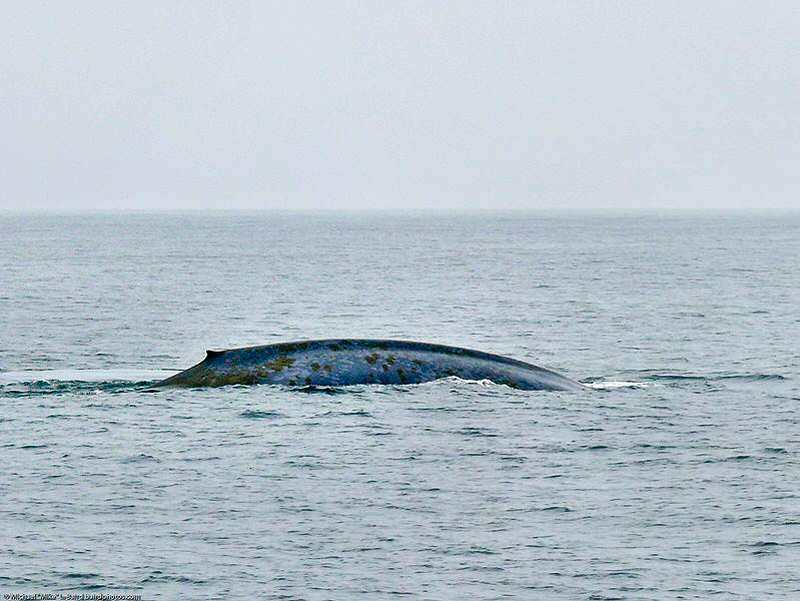 They are in the same family as blue whales, but are smaller - 40-50 feet long and weighing up to 40 tons. A whale watching excursion is a wonderful activity while journeying in Central California and there is no other way to get as close. I'll cover the places where boats regularly depart for whale watching tours, but first I'll mention where you might be able to see whales without voyaging over the waters. 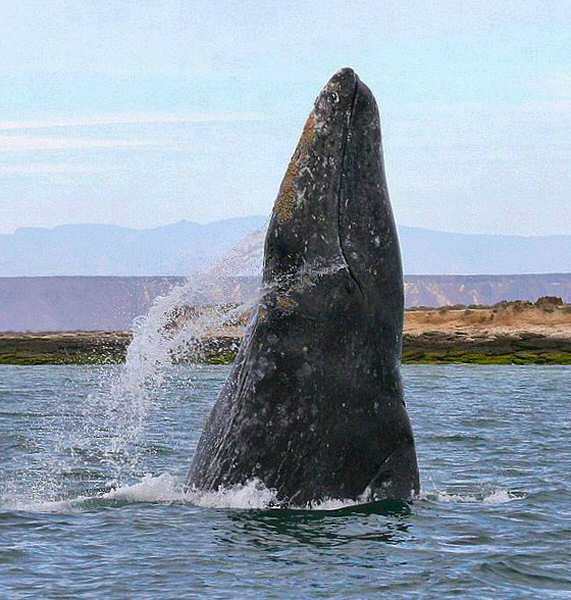 On their journeys between the Bering Sea and Mexico, gray whales are usually within a few miles of the coastline. There are also places where they will come even closer. 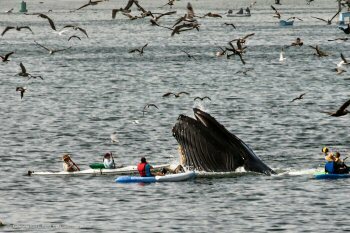 Whale watching boat tours leave Central California from three locations: Avila Beach, Morro Bay and Monterey Bay. Some of these operators only provide whale watching during the off-season for sport fishing. Others provide tours year-round. For more whale watching, 'down under' this time, visit Brisbane Walkabout.